Using hair extensions, it is easy to add volume to your hair. It gives you the freedom to try multiple hairstyles. However, one challenge associated with hair extensions is the colour selection. While the quality of the extensions plays a significant role in making them look natural, the colour is also important for this purpose. Extensions come in a range of colours that are common in women hair around the world. 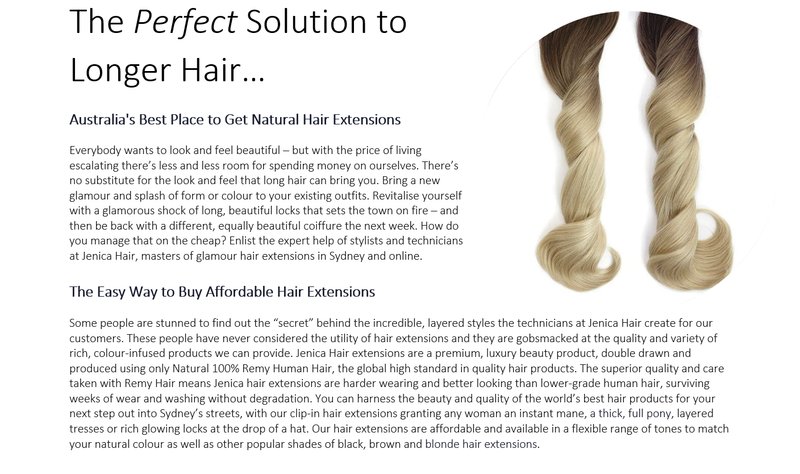 When using extensions, it is preferable to choose a colour that blends easily with your natural one. Natural hair can often vary in colour under different light. Hair contains two chemicals, which can make it appear dark and light varyingly. This is why extensions are made from both light and dark strands despite the shade. Jet black is a deeper version of the natural black. It is ideal if you are looking for an extra gloss and shine. A mix of standard brown strands highlighted with golden ones. It gives the hair a personality as the golden catches the light. If you want a subtle golden touch for brown hair, then this is a good choice. If you want brown hair to appear with golden highlights, then choose this shade. This shade gives a natural colour addition to plain blonde hair. This colour is perfect for giving your naturally blonde hair a personality. If your hair is more inclined towards being black and you just want extra volume, then use this shade to maintain the natural look. This is a very deep shade of brown. It can be a good look on black hair or work as highlights on naturally brown hair. If you want to add a fresher appearance to your blonde hair, use this shade of extensions. For adding volume to your blonde hair without mixing any other shade, just use the medium blonde extensions. Blonde hair is beautiful but sometimes you just want to change the mood. To keep things subtle but different, just add the light blonde extensions. Works wonders for light brown hair as well as adding more structure to blonde hair. If you want an ombre or highlighted look with your brown hair, then this shade is ideal. Brown hair can be given a streaked appearance with these extra strands. Want a reddish look for your hair without making it too bold, then choose this shade. This is one of the most common natural hair color around the world. This extension shade is perfect for simply adding volume without disturbing the natural tint. The medium brown looks more matte in appearance so blends in better with natural hair texture.